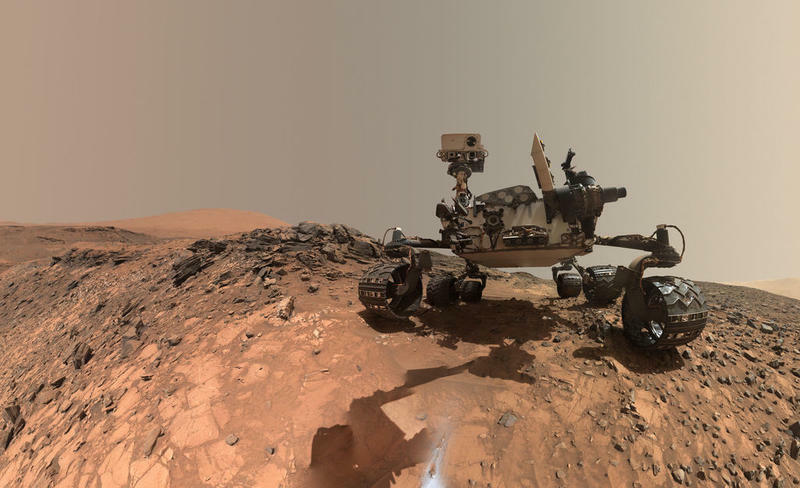 NASA’s Curiosity rover has sent back some spectacular selfies in the past, and today’s new image is no different. Taken earlier this month at lower Mount Sharp, the image shows just how much the rover has aged over the past few years. Not only does it show the perils of space life, but it gives us a small idea of just how harsh the Martian atmosphere can be. Yet, the courageous spacecraft just keeps on ticking. Never give up, Curiosity! While the image itself is notable for its beauty and frightening isolation, it revealed a small injury the rover picked up on its long, lonesome journey. 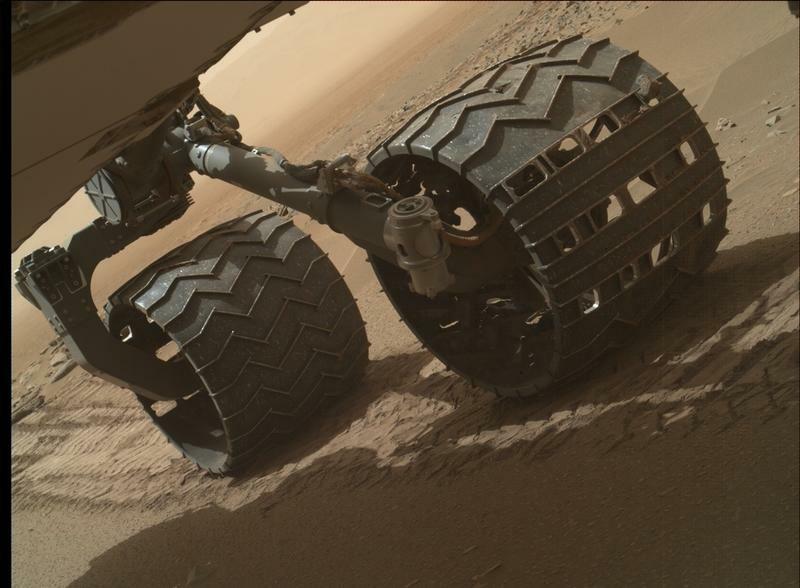 NASA says a rock has been stuck in Curiosity’s left middle wheel for almost a month, though it shouldn’t affect the rover’s overall operation. Think of it as a popcorn kernel jammed into your teeth. Annoying, but ultimately not life threatening. If only we could send Curiosity a helping hand. Curiosity was recently at lower Mount Sharp drilling into “Buckskin” rock, gathering samples and otherwise being a badass rover. As always, the latest selfie was taken by the rover’s Hand Lens Imager (MAHLI), and stitched together using multiple photos. That gives the illusion that Curiosity somehow set up a tripod and set a self-timer. It’s almost like those Travelocity gnome photos, but better. 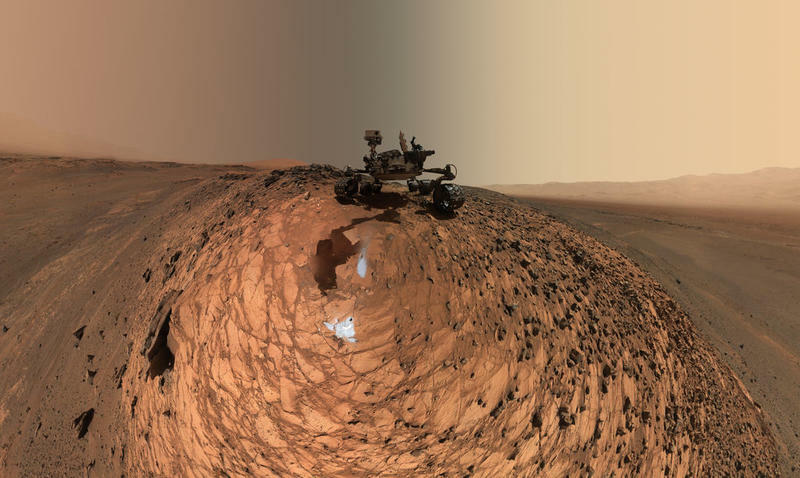 The next step for Curiosity is to travel southwest, where it will continue its research. 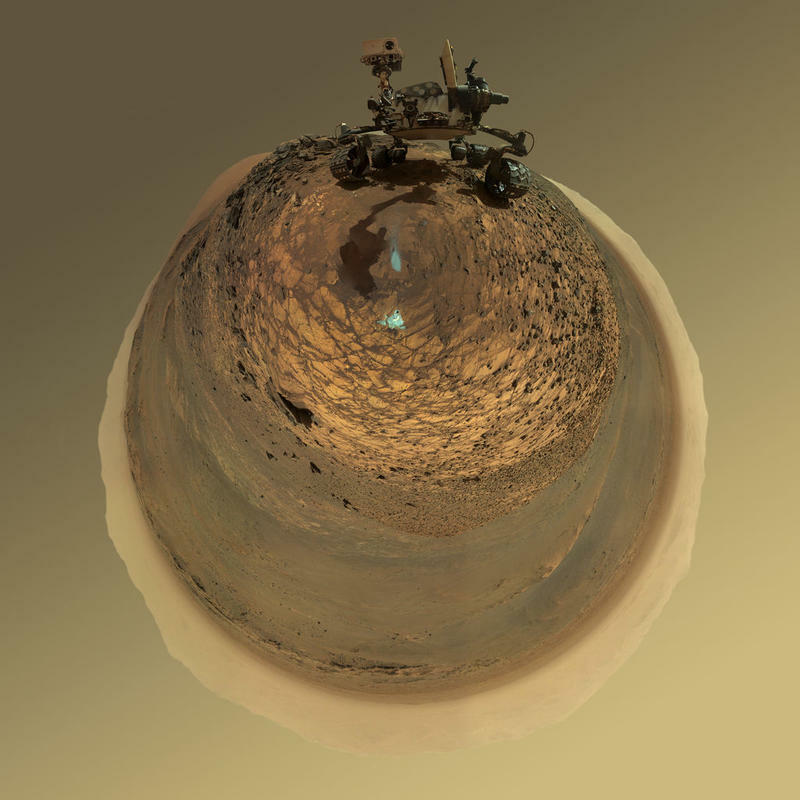 Since landing on Mars in 2012, the rover has traveled 6.9 miles, drilling and gathering science along the way. Ultimately, scientists want to understand the mysterious past of Mars, which may have at one time been a planet full of water.